There is nothing better than a good bowl of Guacamole, am I right? And there is nothing more tragic than the leftovers turning brown in your fridge over night. Avocados aren’t cheap, people! We can’t be wasting those things! But, good news! WE DON’T HAVE TO! Maybe I’m the last one in the world to hear about this trick, but I don’t think so. I think there are more people like me crying themselves to sleep about the avocado wasting away in their refrigerator. 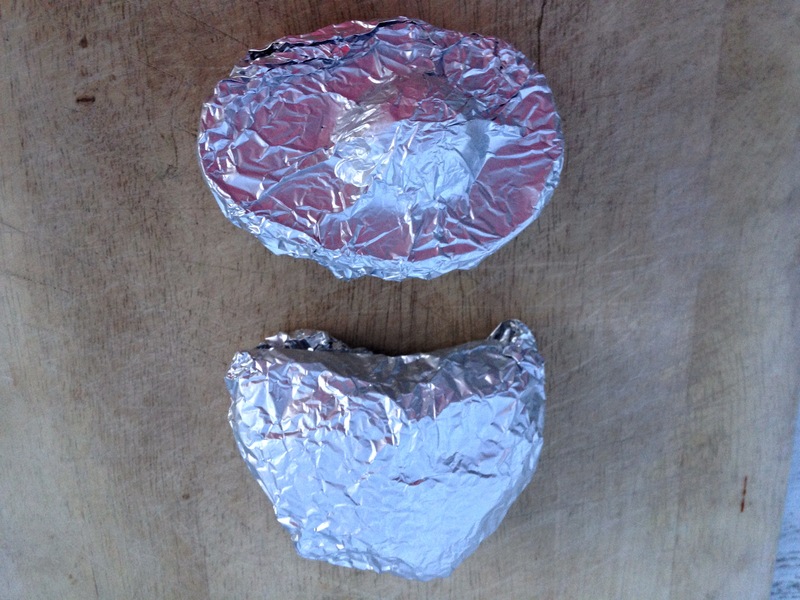 So, let me share with you this easy trick to keep your avocado from turning brown in the fridge… even without the pit. I went to an amazing cooking class by my delightful friend Suzy- you should check out her recipes and online cooking classes at foodiegonehealthy.com. 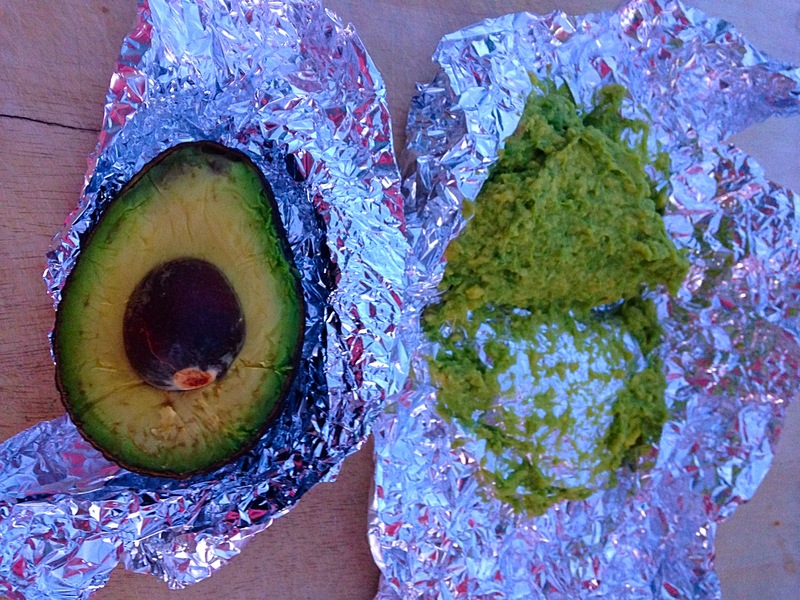 In the middle of the class, she shared this trick to save avocado and it blew my mind! It is so easy- how could I have not known about this before now? 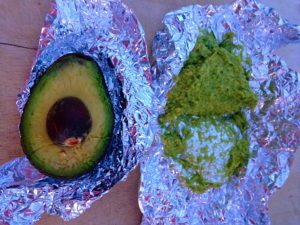 She said to take your left over avocado and seal it off inside a piece of tin foil before you put it in the fridge and the next day it will still be green. I had heard leaving the pit in the avocado would help, so I’d tried that. And I had tried sealing all the air out with saran wrap, but I was still seeing a layer of brown the next day. Tin foil, however, I had never tried before. So I did. And you know what? It worked like a charm! Here are my before and after pics to prove it. Isn’t that amazing?! 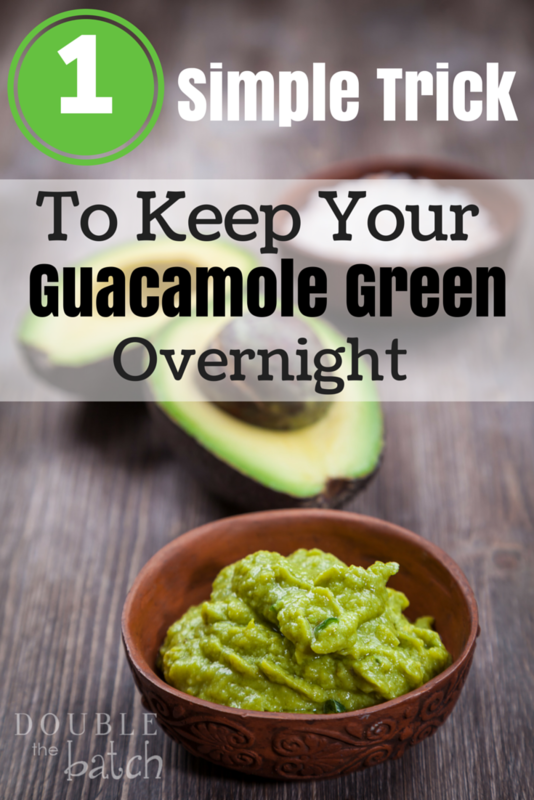 For the love of all things avocado, please, share this trick with your friends and family. Let’s put a stop to the needless waste of the avocado once and for all! 5 Wordless Ways to Say I Love You!